• The teapot is approximately 1" (4-5cm) big. • This necklace comes with a 18” (45cm) silver plated chain. 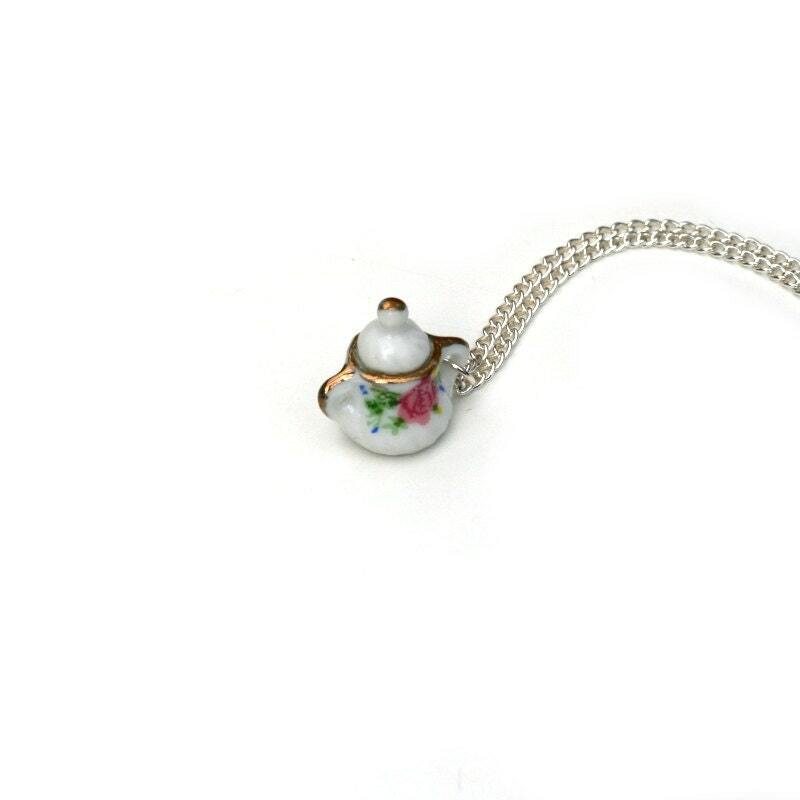 • This necklace is very lightweight to wear and would suit any afternoon tea loving individual. • The necklace is quite delicate and therefore will not withstand being taken in the shower or swimming pool. • All jewellery comes packaged securely and will be mailed in a bubble envelope.